Please use this website to stay connected with our PTA and school community. Please visit the Fundraising Page for more information. Our next meeting is Tuesday, May 14, 2019 at 7 PM in the school library. Click here to donate to our PTA. Click the image below to sign-up! 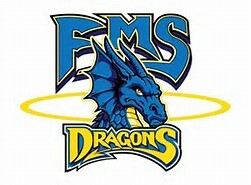 Click our logo for the FMS website. Don't forget to collect your box tops and turn them into the school office! Remember to use Shoparoo when you shop! Click the logo for more information. Remember to shop at Giant and list our school for the A+ Rewards program. Click the logo for more information. Support Franklin Middle School PTA by shopping at AmazonSmile. Click the logo for the link. Log in to Shutterfly through this link and support our school. Eat here anytime until the end of the school year, and it will help our school.